This weekend I trained alone. I decided to give my imaginary training partner, Major Tim Peake, the weekend off following the excitement of Friday. For him, running on a treadmill must be a bit of a come-down having just returned from a walk in outer space, but I don’t imagine there’s much that could follow the experience without falling a bit flat. As imaginary training partners go, Major Tim is in relatively good shape and doesn’t need a huge amount of rest, but I thought he might appreciate a weekend with his feet up. 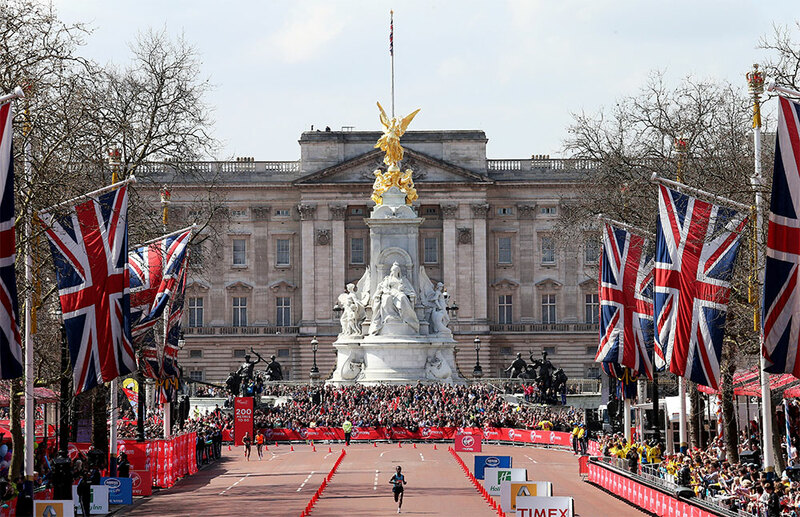 Tim’s attention can now return to the serious matter of preparing for the London Marathon. It’s now less than 100 days until the big event, which also means it’s only 14 weeks until my first big challenge of the year, the Etape Loch Ness. Like thousands of others, the challenges of the 24th April have kept me motivated through the dark winter months. Many will be dreaming of running up The Mall to the adulation of an adoring crowd; I’m just thinking about hitting the bottom of the climb out of Fort Augustus, and fighting my way to the summit. I’ve set myself the goal of completing the event in under 4 hours; beating last years’ time by about 30 minutes. 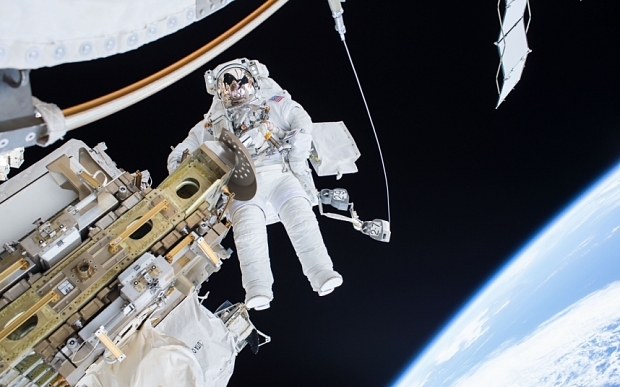 I’ve also got half an eye on beating Major Tim’s London Marathon time, but there are a couple of major variables to consider: (1) How does 6 months in orbit, and being strapped to a treadmill on the International Space Station, affect your marathon performance? and, probably more importantly, (2) What will the weather be like in Inverness? 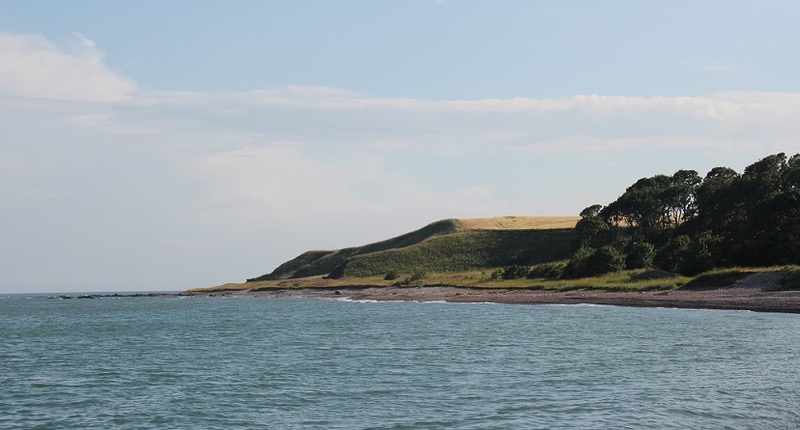 It’s the North of Scotland… after all! So, it’s time to knuckle down and get on with the preparation. I hope Major Tim has enjoyed his weekend off, but it’s back to work tomorrow. This entry was posted in Cycling, Principia, Visit Scotland and tagged Cycling, Loch Ness Etape, London Marathon, Major Tim Peake, Training with Major Tim on January 17, 2016 by Paul Squire. I’d describe myself over the past few days as being “Candy Crushed”. After a hectic and highly enjoyable weekend I’ve been wiped out over the past couple of days. 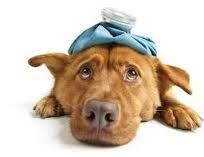 Not ill as such, but under the weather. It turns out that people at work have been feeling similar. Not ill but worn out. Some of their symptoms match how I tend to feel on a day to day basis – a little light headed and slightly out of it (Welcome to my world!). They’ve also experienced a sore throat and other symptoms which I won’t go into. So I’ve maybe got off lightly! It’s the first time I’ve felt ill since I was ill, so it’s all been a bit strange. The immediate reaction is to worry that everything’s heart related… Had I made a mistake with my medication? Surely I hadn’t overdone it at the weekend! Is there something new wrong with me? etc. etc. Even if it’s not my heart, it must figure in the equation somewhere. I guess it’s all part of the rehabilitation process. Part of living. Anyway, I’ve been taking it easy. I’ve had a few days rest from the bike and I’m starting to feel a bit stronger again. In my downtime, Daughter No. 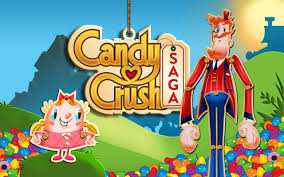 2 introduced me to Candy Crush for the first time. If you’ve not seen it, it’s a highly addictive electronic game (or Phone App), a little Solitaire on Steroids. The kind of game that I personally find hard to put down once I’ve picked it up. So, I’ve spent the past few evenings feeling a little sorry for myself, immersed in a fantasy land of exploding Candy (Sweets). I’m sure I’m very late to the party, but it doesn’t look like I’m the only one… see “Candy Crush Is like Crack”. I can’t wait until I can get back onto the bike properly and focus my energy on something a bit more constructive! Happy days! This entry was posted in Illness, Visit Scotland and tagged Candy Crush, Ill, Sick, Solitaire, Tired, Worn Out on September 25, 2013 by Paul Squire. Another beautiful day in sunny Scotland! After Rehab, I headed out for couple of meetings. The girls are away for a night, “sightseeing” (shopping!) in Glasgow, so I packed my fishing rod… just in case! As a complete novice, I headed to the only place I know for Mackerel. When I arrived, Inverbervie bay was packed. There were up to 6 people trying their luck in the tranquil North Sea. Apparently the fish were “flying in” yesterday evening. Not so much this afternoon! Another beautiful day in Aberdeenshire! Lady luck was on my side! I caught a fish. More than that… I caught fish! Very exciting! I’m still eating a lot of fish. 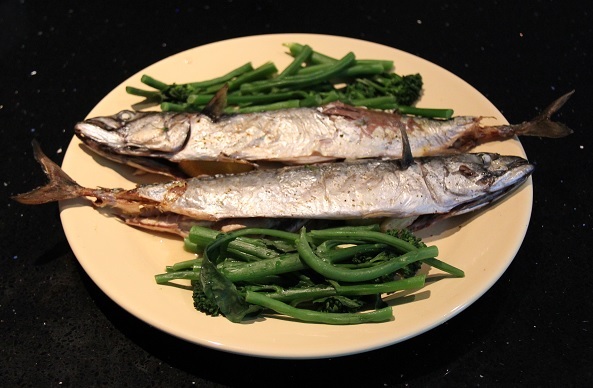 Mackerel is an oily fish, high in Omega-3. Good for me (and you)! So I bagged them up for tea. There’s something satisfying about catching, gathering and / or growing your own food. I don’t do it very often, but I do think it makes you appreciate what’s on your plate, and think about where it comes from. It’s fresh and healthier too, the absolute opposite of processed food. Having bagged four fish (a single and a very exciting treble that was almost a quadruple, for a second or two at least… the one that got away! ), it was way too much for me to eat on my own so I bagged and froze two (bait for later in the year!). Having cleaned and prepared the fish (it’s OK, I made sure I cleaned up behind myself! ), it was time to select a recipe. Unfortunately I couldn’t find anything that took my fancy so I decided to go free-form… Mackerel stuffed with crushed garlic, fresh ginger, lemon wedges and freshly ground pepper. Baked in a hot oven for about 20 mins. You might want to stuff yours with something else! A little something I put together earlier. I served mine with broccoli and green beans that had been carefully gathered from the Supermarket, but you can serve yours with whatever you like! The fish was tasty (nothing mush to do with me!) and surprisingly filling (lots of good meat). I definitely prefer catching to fishing! 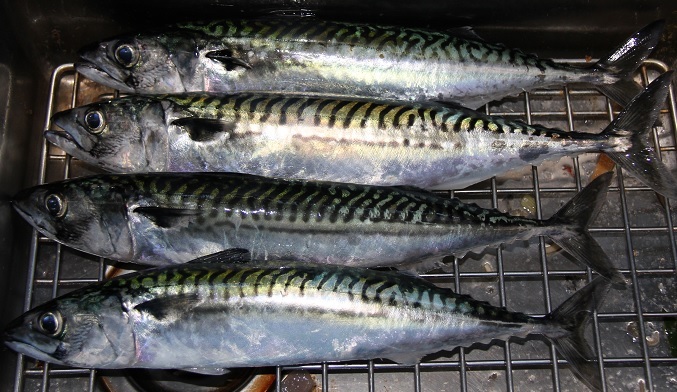 This entry was posted in Exercise & Fitness, Visit Scotland and tagged Fish, Fishing, Healthy Eating, Inverbervie, Mackerel, Omega-3, Scotland on July 26, 2013 by Paul Squire.